It’s the perfect marriage: the GardenWalk and the city’s community development initiatives. Their mission and purpose focus on different aspects of this thriving community to form the perfect union. 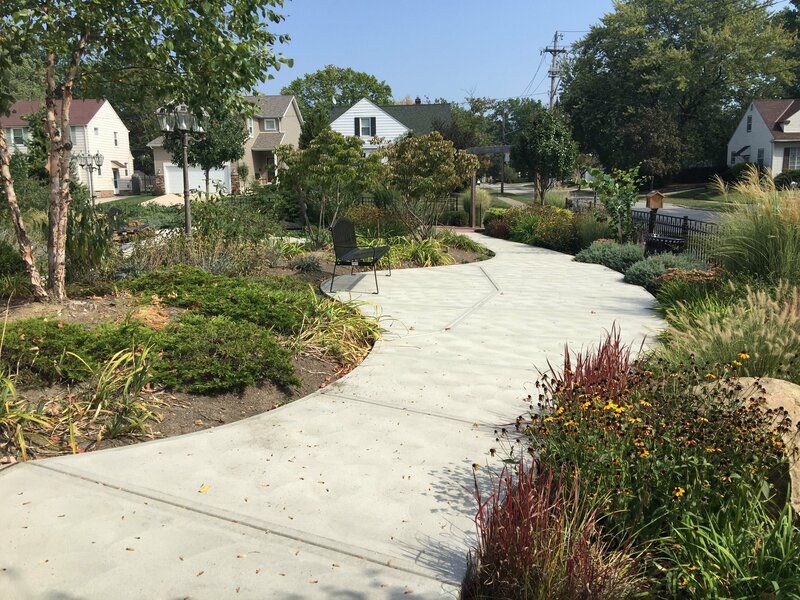 The city’s community development initiatives focus on many different aspects of the city at large, while the GardenWalk strives to encourage neighborhood beautification by rejuvenating streets and re-energizing neighborhoods. The program nurtures community spirit, and encourages civic pride throughout the city of South Euclid which can also result in increased property values. One of the city’s most noteworthy community development initiatives was the South Euclid Green Neighborhoods Initiative. Between 2009 and 2012, the City of South Euclid obtained approximately $1.5 million in HUD Neighborhood Stabilization Program grant funds. These funds were used in part to create eight community gardens in the city and three neighborhood “pocket” parks as part of the City’s “award-winning” Green Neighborhoods Initiative. 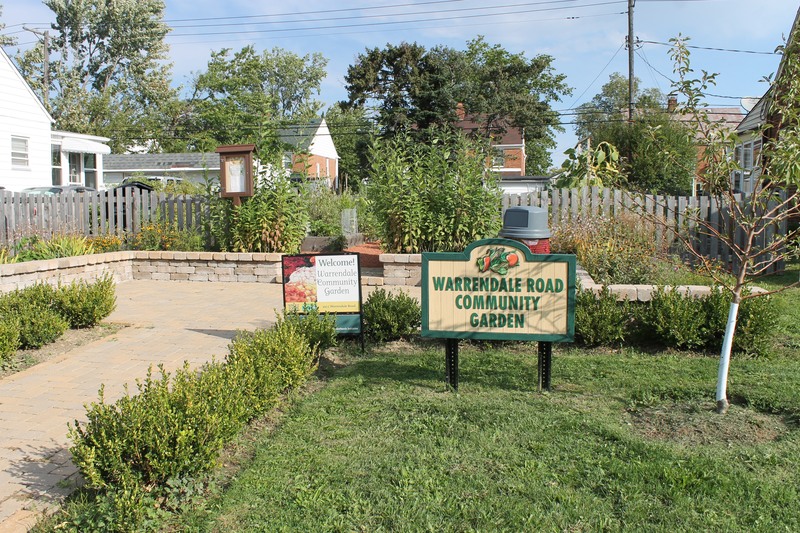 The gardens are located on the sites where homes were demolished on Warrendale, Eastway, Hinsdale, Colony, and Victory Roads. Great care was taken to blend each garden into the aesthetics of the surrounding neighborhoods. 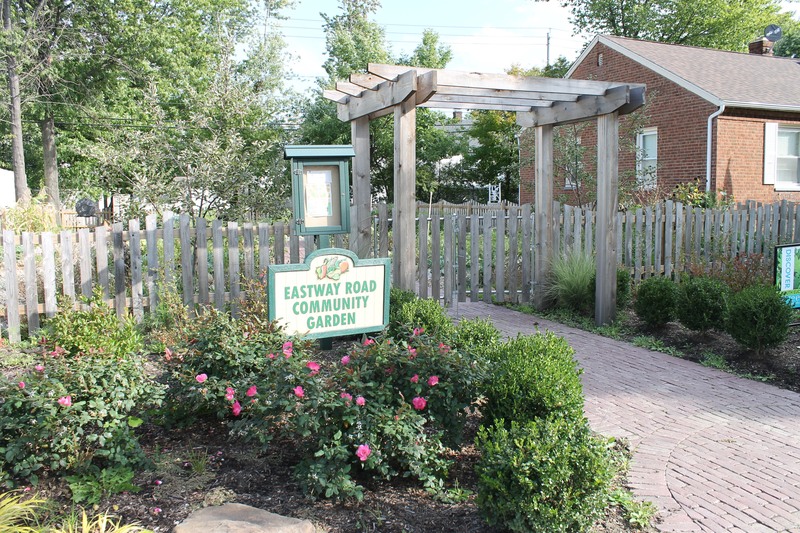 Community gardens were also developed at both Quarry and Bexley Parks, as well as placed on the public sidewalk at Mayfield and South Green Roads. The purpose of the gardens is to bring neighbors together and provide a place for the cultivation of healthy food. Seven of the gardens are open to all residents of South Euclid through a lottery process to help foster the community spirit. The garden on Victory Drive serves the Bhutanese refugee community, which is growing in South Euclid and is excluded from the lottery process. Those residents typically live in apartments and have little to no access to land on which to grow food. 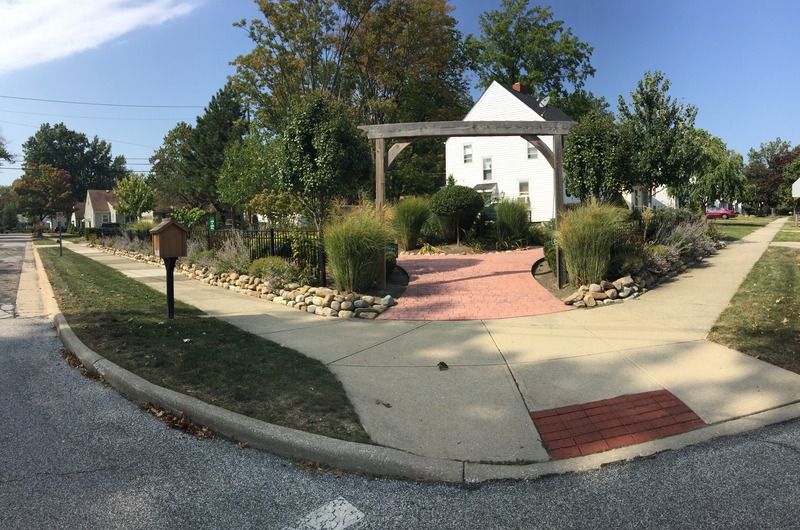 The three neighborhood “pocket” parks that were created with the grant are located at Argonne, Winston, and Colony Roads. Each of the parks is distinctive and features special elements. The Argonne Park was developed with the assistance of residents Jim and Pam O’Toole who helped with the design and maintenance of this vibrant perennial-filled sitting park. The rhythmic flow of the naturalistic plantings leads you along the garden path. Everywhere you look there’s something to behold. The park also features a Little Free Library and decorative benches, just the place to spend a lazy afternoon. The colorful ambiance of the park changes with the four seasons. Located in close proximity, the Winston Park serves as a favorite walking path between Avondale and Winston Roads. Two decorative benches allow residents to stop and enjoy the park-like setting. The park boasts a four-square court and a grassy play area for children. It was the site of the City Jam live music festival a few years ago. In contrast, the Colony Park serves as a quiet destination featuring naturalized areas overlooking the Dugway Brook. The focal point of the garden is a wooden sculpture created from a fallen tree found on the site by Sanctuary on Green’s Norbert Kohen, an award-winning and nationally renowned sculptor. Truly a sight to behold! In 2017 the first GardenWalk South Euclid was held during the city’s 100th year celebration and will be an annual legacy! A landmark for the city’s history became the launch pad for the GardenWalk. It changed the focus from the city “at large” to the individual streets and neighborhoods–a union that can only benefit this nurturing community that’s definitely on the move!